Brand New, handmade. 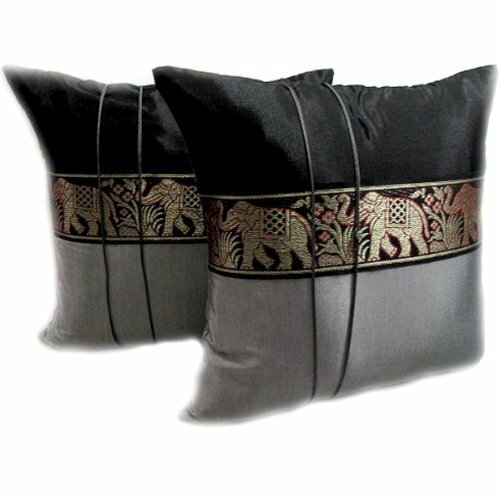 100% Authentic THAI SILK Pillow Cover. Shipped direct from THAILAND. 100% Guaranteed. Expect 1-2 weeks for expedited delivery and 2-3 weeks for standard delivery. List price is for 2 Pillow Cases. Substantial discounts available for ordering 12 or more. These are all the Genuine Thai Silk brand items found only in Thailand, and shipped to specialty stores worldwide. Click on our name and contact seller for additional details. These highest-quality items retail in fine stores for $50.00 and up. Only buy from a trusted seller. Please see our entire inventory of hard-to-find and popular authentic Thai merchandise. Looks and feels very special. Makes an ideal gift for that someone special. If you have any questions about this product by Mr. Thai Silk, contact us by completing and submitting the form below. If you are looking for a specif part number, please include it with your message.